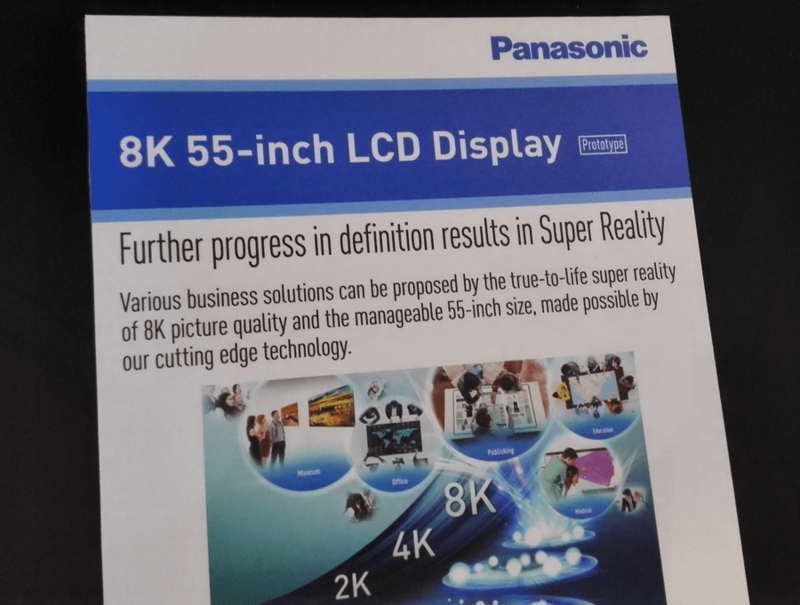 Panasonic’s booth features plenty of neat gadgets at CES 2015, including plenty of displays. One feature is a 4K touchscreen, but the real standout was a black room with a cue. After cueing up for about 10 minutes, we were let into a relatively small room. The room had one display mounted to the wall and other mounted in horizontal orientation. Even as press, I was asked not to take photos which keep their exclusivity and people cueing up I guess, but unfortunately doesn’t let me share the gorgeous display with you. 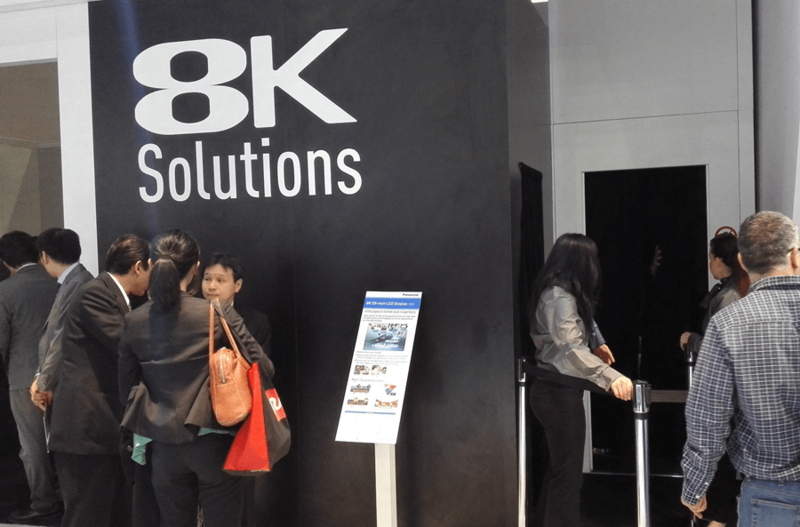 While most companies at the show are showing 4K, 8K is rare this year. As 4K takes the main stage from HD, it’s important to consider the future and if there’s something after 4K that is better and make you think twice about updating your TV now. 8K has been discussed before and many say it’s not needed as the human eye isn’t capable of resolving that much detail. They’re wrong. Not just a little bit, a lot wrong. After seeing this display at a distance, you’ll notice it looks great, like a 4K display with 4K content, but there’s just something about it. The detail is unlike anything we have today in a display and it feels strange saying that when 4K quality is already stunning. The footage displayed in TVs like this is always best possible scenario, but something as simple as the 2012 Olympics looked brand new. Shot on 8K cameras by Japanese company NHK, the 8K footage allowed every single detail to be seen, regardless of how close you get. It’s like there are no pixels on this display. Something else noteworthy about the display is that it runs a 120hz refresh rate. One of the demos showed side scrolling text with the 120Hz running at the top half of the screen and a simulated 60Hz at the bottom. The difference was stark. It was so much less effort for your eyes to read from the top. The bottom was possible, but felt like your eyes were reading, then adjusting, reading, then adjusting instead of just reading and tracking sideways. Imagine seeing a stadium full of people and being able to see the facial expressions of every single one of them. You can. 8K offers a crazy level of detail I’ve never seen before, even in the stunning 4K sets announced here at the show. It’s really only this year that TV manufacturers are solving the question of 4K/UHD content so content in 8K is still many years away. Overall it’s not a reason to avoid buying 4K now, but after seeing 8K in person, it’s absolutely clear the resolution numbers need to continue climbing. The 8K prototype displays are 55” in size, with a 7680×4320 resolution and an impressive 178 degree viewing angle and 100% of the DCI and Adobe RGB colour gamut.